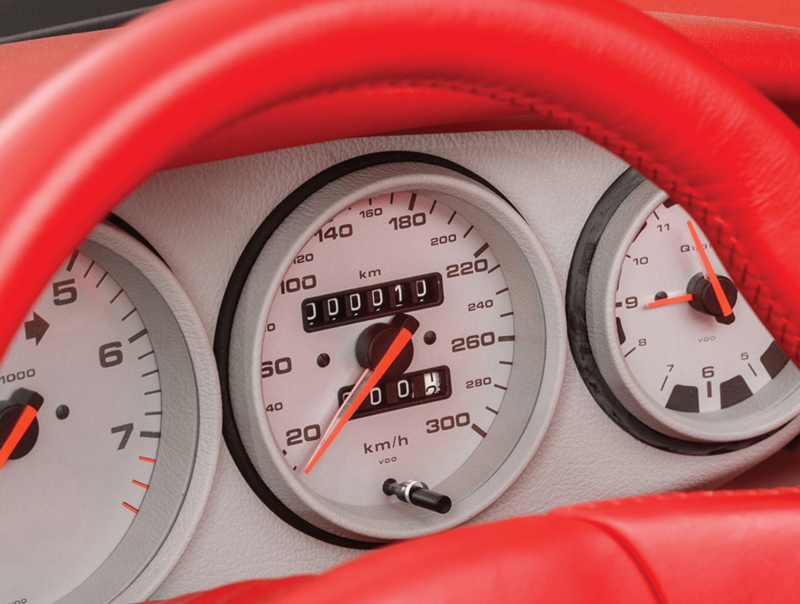 Have you ever wondered what it would be like to drive a 24 year old car that has travelled just 10km ? Well, apart from a complete engine and fluid overhaul, and a good wash – this car is straight from the factory. I could only imagine that the original owner could not have driven more than 10kms while sitting in that interior ! 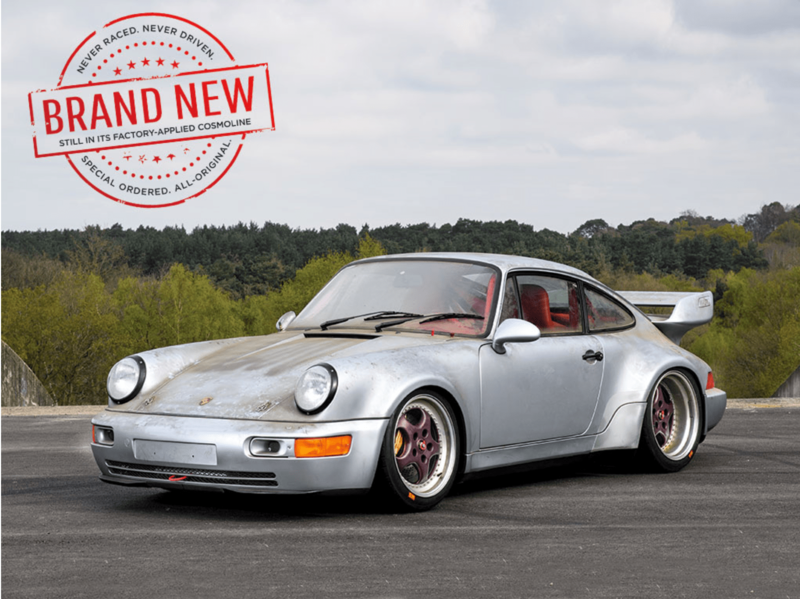 Seriously – could they have possibly covered anything else in red………I think I might keep my wallet closed on this auction – but still, could you have been the one to have ordered this, bought this, and then sat it in your garage to collect dust. I do hope they wash it prior to auction. The next is taken from the Auction website. 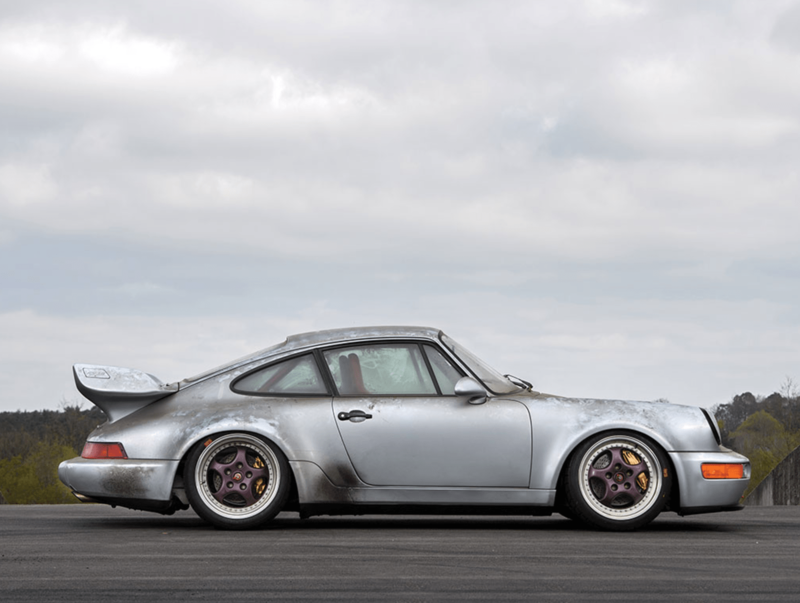 Imagine that as a die-hard Porsche fanatic, you wish to have the fastest and wildest 911 that the factory has to offer—a car that can handily compete on the track right out of the box. The choice is obvious: a new Carrera RS, or better yet—and faster still—the fully race-prepared Carrera RSR. You contact Porsche, and with considerable means, special order such a 911 to your own unique specifications. However, once delivered and with only 10 kilometres recorded, this limited-production 911 vanishes into a private collection, where it remains untouched and never driven for almost 25 years, still covered with its factory-applied Cosmoline coating. The exclusive Type 964 Carrera RSR, of which only 51 examples were built, was the Turbo-bodied racing version of the Carrera RS. 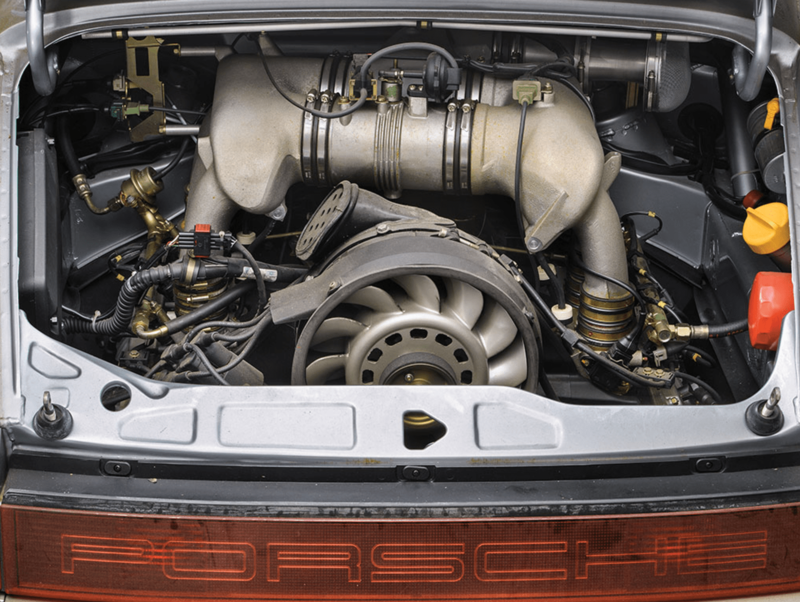 It was fitted with a 3.8-litre type M64/04 RSR-specific engine. This dry-sumped, single-ignition powerplant developed an impressive 350 horsepower and 284 foot-pounds of torque, all fed through an uprated five-speed manual transaxle. Unbiased reviewers viewed those official numbers as very conservative. A more realistic figure, they declared, was at least 375 horsepower. Car and Driver magazine produced a 0–60 mph result of 3.7 seconds, quicker than a Ferrari F40. Ever dominant, the RSR racked up stunning race results from the outset, winning overall at the Spa 24 Hours, Suzuka 1000 KM, and 24 Hours of Interlagos. There was also a class victory at Le Mans, a 1-4 class sweep at the Daytona 24 Hours, and another class victory at Sebring. Interestingly, this all-original example was special-ordered and delivered with numerous creature comforts (compared to the stripped down race cars). 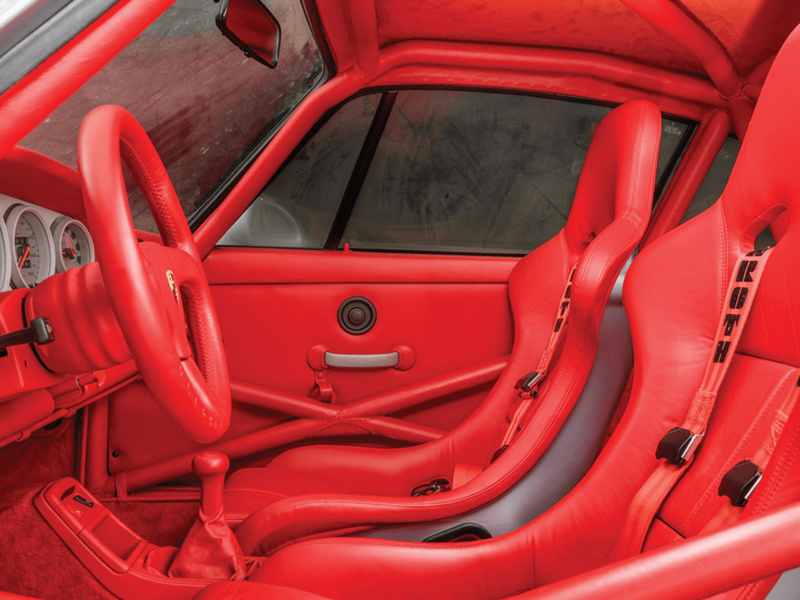 The RSR was specified with Polar Silver Metallic paint and trimmed in Can Can Red leather, including the competition seats (whose rear panels were painted body colour), headliner, upper and lower dashboard, steering column and steering wheel, door caps, and even the bolt-in roll cage. The carpeting and six-point Schroth racing harnesses were colour-matched, while the silver-faced instruments were surrounded with silver-grey leather, as were the door pulls. The battery master switch mounted in the front trunk compartment can be operated from the driver’s seat. The centres of the wide Speedline three-piece wheels were ordered in Amethyst Metallic, while the callipers for the huge disc brakes are painted a contrasting gold.